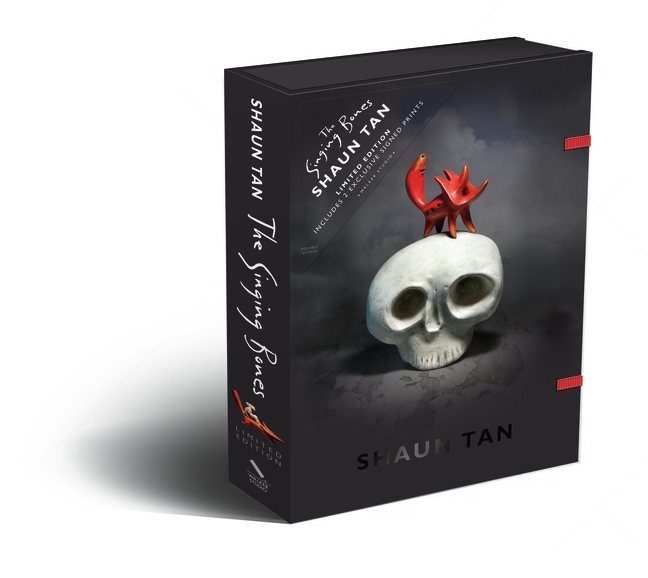 Artist Shaun Tan is world renowned for his singular vision and storytelling abilities. This art book showcases his sculptural talent, applied here to fairy tales from the Brothers Grimm. Tan captures the essence of these tales as he brings traitorous brothers, lonely princesses, cunning foxes, honourable peasants and ruthless witches to life in surprising – and illuminating – ways. Introduced by author Neil Gaiman and fairy-tale scholar Jack Zipes, The Singing Bones is a feast for the eyes, a profound, powerful celebration of the world’s most beloved stories. This limited gift box edition includes two exclusive signed and numbered prints.